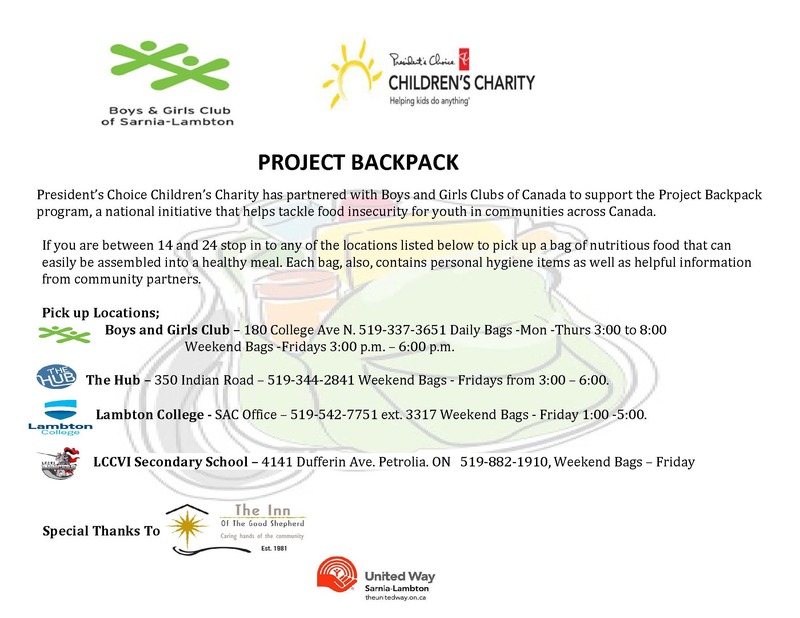 President’s Choice Children’s Charity has partnered with Boys and Girls Clubs of Canada to support the Project Backpack program, a national initiative that helps tackle food insecurity for children and families in communities across Canada. The Sarnia program is geared to adolescents 14-24. Once a week, program participants are given a bag filled with nutritious food that they can easily assemble into healthy meals over the weekend or during time periods when Clubs are unable to provide meals. Project Backpack from Boys and Girls Clubs of Canada on Vimeo.